Meeting at the East car park of Mugdock (nearest postcode G62 8EJ), at 6:45. Run starts at 7 pm sharp. 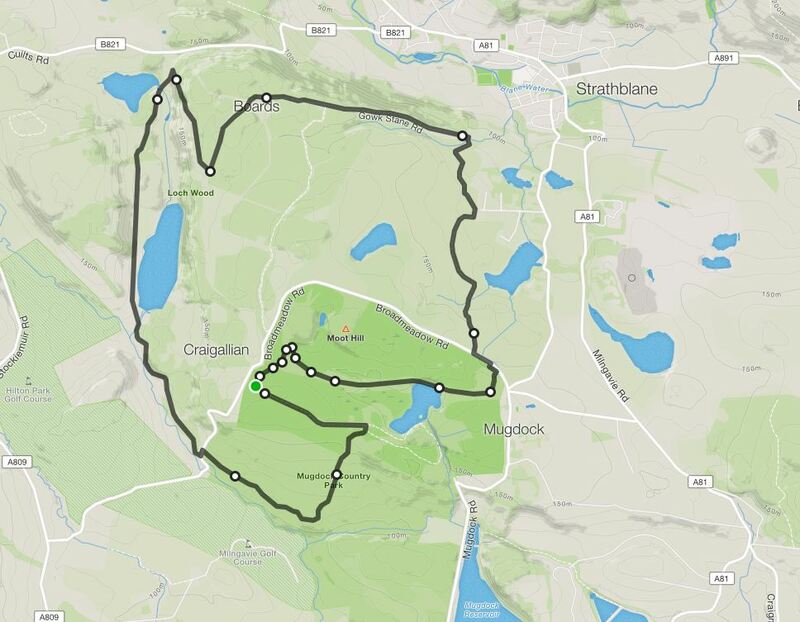 A new route for the westies, Cut across some farmland onto the Gowk Stane Road, follow this until the Red Brae Road down to the west highland way, take this back to Mugdock and then any route back to the east carpark. 12 km, 200 m assent.